A wonderful hand crafted period pendant light, with a polished nickel plated solid brass ceiling mount and braided silk flex. 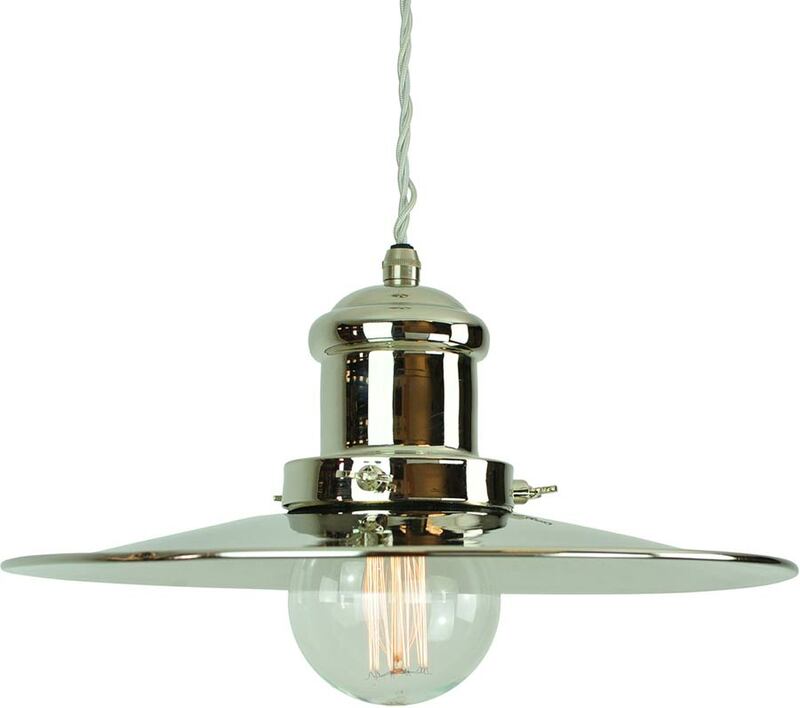 A large upper gallery and large station lamp brimmed shade, supplied complete with a period style Tesla globe lamp bulb as shown. Hello B, the short answer is, not very. 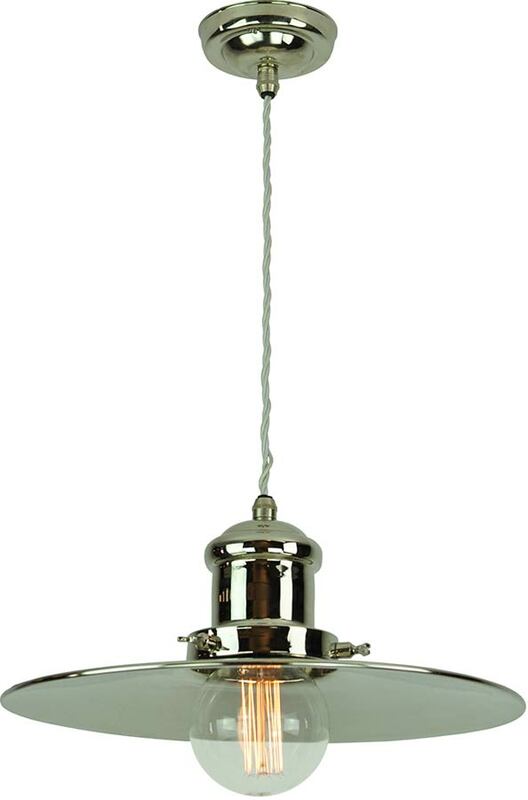 The lamp supplied is a decorative 40w incandescent lamp to fit in with the period style and is ‘E’ rated. A good alternative would be an LED fillament lamp, thank you.